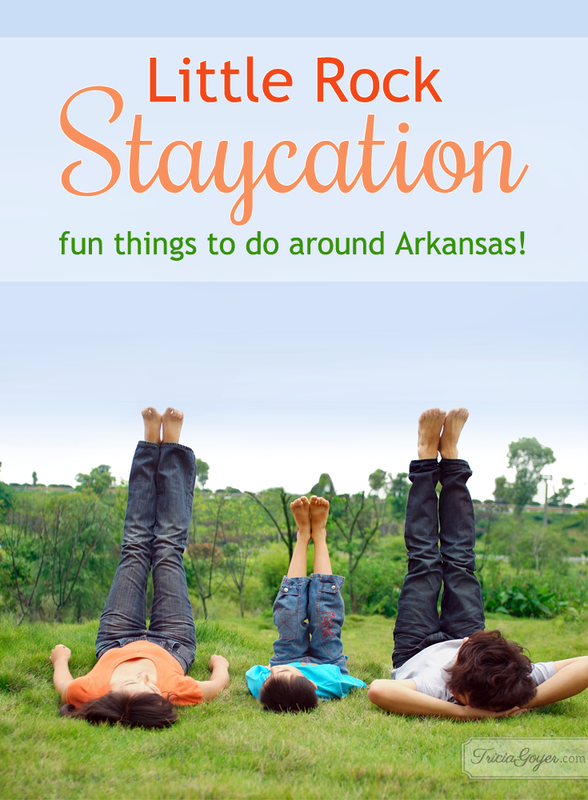 Fun things to do near Little Rock … and all around Arkansas! After moving to Little Rock in 2010 we’ve found there is so much to do! We are theme park people, so one of our favorite places to go in Magic Springs and Crystal Falls Waterpark. We especially enjoy their FREE Summer Concert series. (The concerts are free with park admission.) 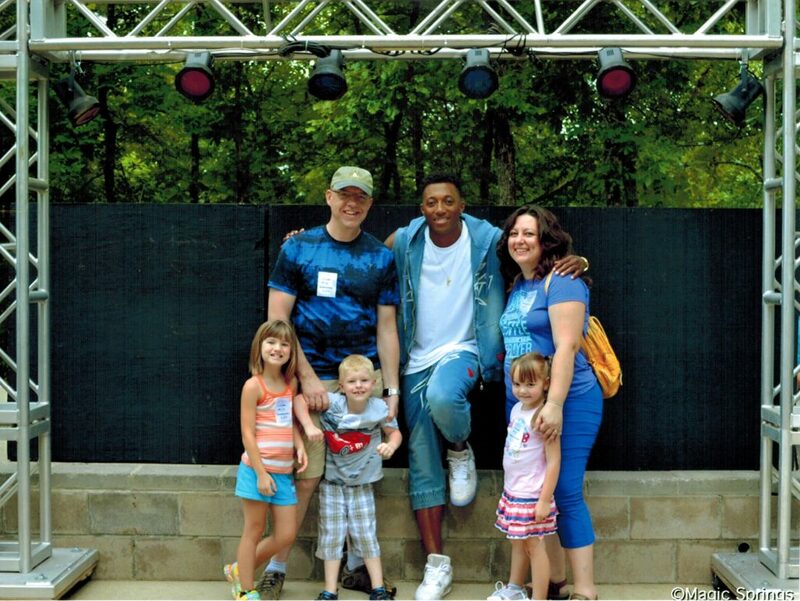 We LOVED seeing LeCrae in concert. We even had the chance to go back stage to meet him! My seven kids ages 4-15 loved rocking out. I have to admit I got into it, too! We love Magic Springs because there is plenty to do with our teens and our little kids. This year we bought a season pass which is less than the cost of two visits! Of course Magic Springs is just one of the fun things you can do. If you live in Little Rock, or are planning a visit, here are more great places to visit! 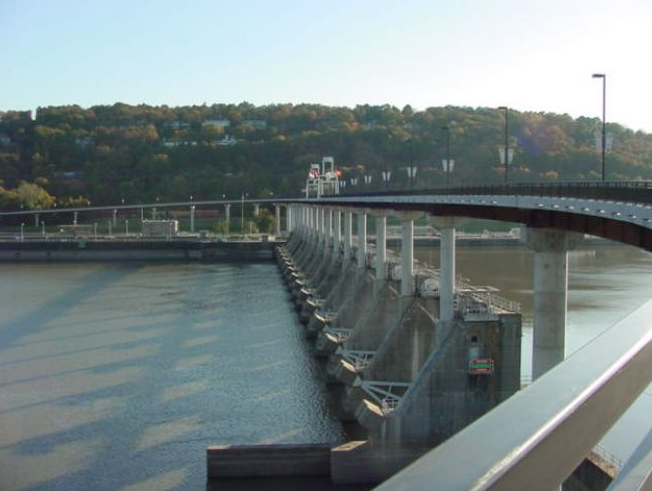 The City of Little Rock has over 60 parks and recreational areas. All Little Rock Parks close at 10:00 PM, with the exception of MacArthur and Riverfront which close at midnight. Cinemark is featuring 10 family-friendly movies with their special Summer Movie Clubhouse: $5 for ten movies or $1 per show. And Chenal 9 has a Kids Summer Series with movies for just $2 a person. From hikes to tours to workshops, Pinnacle Mountain State Park offers a variety of activities to get your family exploring the outdoors. Family dinner night just got more exciting! Have your choice of 7 award-winning restaurants all in one place… at the Promenade at Chenal. Every Monday, kids eat FREE! If you are a kid (or a kid at heart), you’ll love story time! Enjoy a book, a snack and a craft every Friday. Seasonally, learn about gardening and healthy eating, too. Petit Jean: Arkansas’s first state park has windswept views, enchanting woodlands laced with streams and wildflowers, and a spectacular waterfall. Mt. 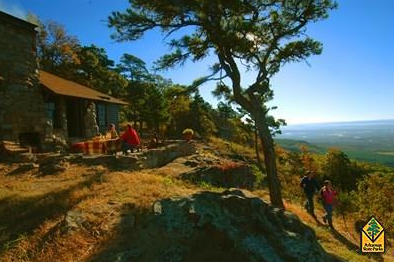 Nebo State Parks: Rising 1,350 feet, Mount Nebo offers stunning views of the Arkansas River Valley. Go Geocaching: Go on a modern-day treasure hunt through Arkansas state parks with clues and coordinates! Hot Springs National Park: “The American Spa,” Hot Springs National Park today surrounds the north end of the city of Hot Springs, Arkansas. Visit the Plantation Agriculture Museum: Exhibits and programs give visitors a glimpse of the past as they explore the history of cotton agriculture in Arkansas. 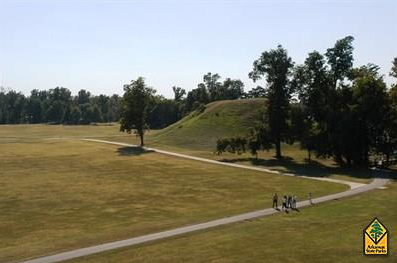 Toltec Mounds: Preserved here are Arkansas’s tallest American Indian mounds. Lake Catherine: Nestled in the beautiful Ouachita Mountains, Lake Catherine State Park features camping, hiking, fishing, horseback riding, and more! Cane Creek: Hike or bike in the rolling woodlands of the Coastal Plain. Paddle or fish on a timbered Delta lake. Ozark Folk Center: “A Wonderful Way to Enjoy Yesterday,” Arkansas’s unique Ozark Folk Center State Park is America’s only facility that works at preserving the Ozark heritage and sharing it in an entertaining way. We keep the crafts, music and herblore of the Ozarks alive. Crater of Diamond State Park: the only diamond-producing site in the world open to the public, stands out as a unique geological “gem” for you to explore and enjoy. MacArthur Museum of Military History: Exhibits feature artifacts, photographs, weapons, documents, uniforms and other military items that vividly portray Arkansas’s military history at home and abroad. Museum of Discovery: Ignite a passion for science, technology and math in a dynamic, interactive environment. Historic Arkansas Museum: Come in and step back into Arkansas frontier history. Tour the museum’s historic grounds and visit a pre-civil war neighborhood, including the oldest home still standing in Little Rock and the site where William Woodruff once printed the Arkansas Gazette. Arkansas Inland Maritime Museum: Visitors can experience the sights, sounds, and smells of submarine service when they step aboard the historic submarine USS Razorback (SS-394). Arkansas Art Center: The Arkansas Arts Center is an art museum with a children’s theatre and a studio school. Founded in 1960, its mission is to ensure that learning, inspiration and creative expression in the arts flourish. Old State House Museum: The original state capitol of Arkansas. Since 1833, when construction began, the building and its grounds have witnessed many of the most important events in Arkansas history. Mid-American Science Museum: With over 100 engaging, hands-on exhibits that explore the wonders of energy, matter, life and perception, the Museum seeks to spark curiosity and enhance scientific understanding through inquiry, observational skills and discovery learning. Little Rock Central High School: Little Rock Central High School is recognized for the role it played in the desegregation of public schools in the United States. The nine African-American students’ persistence in attending the formerly all-white Central High School was the most prominent national example of the implementation of the May 17, 1954 Supreme Court decision Brown v. Board of Education. Alligator Farm: Enjoy getting up close and personal with the animals! Old Mill: An authentic reproduction of an old water-powered grist mill, this striking structure appears in the opening scene of the classic 1939 film Gone with the Wind and is believed to be the only building remaining from the film. Big Dam Bridge: The bridge spans the Arkansas River and Murray Lock and Dam between Little Rock and North Little Rock and is open only to pedestrian and bicycle traffic. Little Rock Zoo: Lions, tigers, bears, and more! With 700 plus animals, at our Zoo are all important ambassadors for their animal friends in the wild. The Wonder Place: A place your child can dream, wonder, and explore! Tyndall Splash Park: Perfect cool down on hot, humid days! War Memorial Park: The children’s play area in War Memorial Park utilizes native stones to create caves, rock crannies and child-sized underground tunnels. Children can romp in water features on hot days, scramble up rope and rock-climbing areas and rush down slides. Not enough ideas? Here are even more! What are your staycation ideas? I’d love to hear them!